All-inclusive vacations allow you to not only enjoy what you want without carrying money with you but they're economical too -- saving money when you factor in meals and drinks! We offer all-inclusive Caribbean resorts and all-inclusive Mexico Vacations to meet every budget and traveling style... Grab your family and friends... group vacations are not only fun but they offer low, discount travel rates to all-inclusive resorts too! 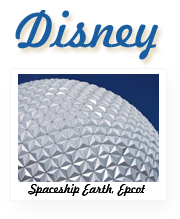 Disney really is the most magical place on earth for both children and adults alike! Whether you're planning a family vacation, romantic getaway or family reunion - Disney is the perfect place and we have the Disney Specialists to help plan the perfect package just for you. 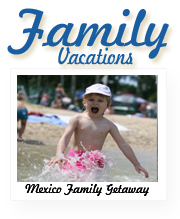 Family vacations have never been so easy with resorts catering specficially to families! Ask us for recommendations on family-friendly properties throughout the Caribbean, Mexico and Hawaii when you plan on taking your kids on the next family vacation. We offer resorts with Kids Clubs and nannies to help entertain the children while the two of you relax a bit. 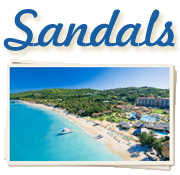 No one does it better than Sandals and we're specialists with these resorts, making your trip extra special and no need for planning on your part! Tour 'N Travel is a family-owned and operated business located in Woodlyn, Pennsylvania, a small community about 15 miles south of Philadelphia. Opening their doors in 1970, Tour 'N Travel has served not only the local community, but nationally as well, supporting numerous athletic groups, clubs and organizations along the way. Tour 'N Travel has been consistently providing custom and quality vacation planning for individuals, families, groups and corporate accounts for 39 years. Tour 'N Travel credits much of its history to their staff of two full-time agents and two outside agents who are experienced and knowledgable about many areas of travel -- and with many working at Tour 'N Travel for over 17 years, you can be assured of building a wonderful relationship with our agents for years to come! 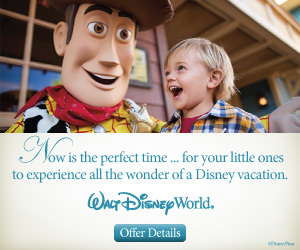 Nothing conjurs up childhood dreams like Walt Disney World®! That's right, Harry Potter is opening at Universal Studios® Orlando! We are one of the areas largest cruise agency, offering all cruise lines and destinations. Just give one of our agents a ring or send us an email to begin planning your next dream cruise! We've cruised enough to learn the ins-and-outs of cruising so we've polled our agents and created our Top 10 Insider Cruising Tips, offering advice on everything from online check-in, dining options and tipping! Why Use Tour 'n Travel? Customer advocacy: If you have a problem with a particular part of your travel experience, we are here to act on your behalf to see that restitution is made. Expert Guidance: Tour N Travel agents, unlike instructions on a web page, are experts in understanding and deciphering the myriad of travel information and codes out there. It’s what we have been trained to do and we do it every day. Personalized service: Instead of an impersonal voice thousands of miles away, we are in your neighborhood and know what you value in your travel experience. Professional advice: We are here to make sure you get where you want to go, when you want to go and for the lowest price. Time: Instead of checking a long list of travel Web pages, which only provide rates and fares for the companies that have contracted with them, why not go straight to the source? We have all the information at our fingertips, saving you a few hours in front of a computer screen.